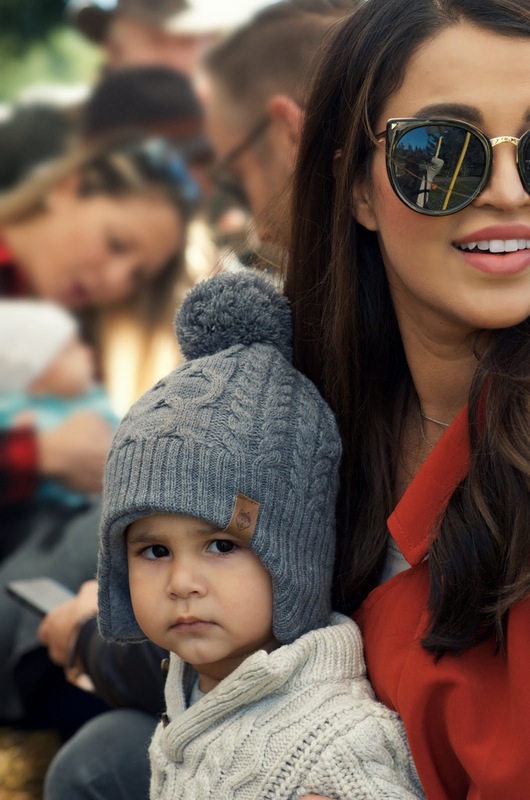 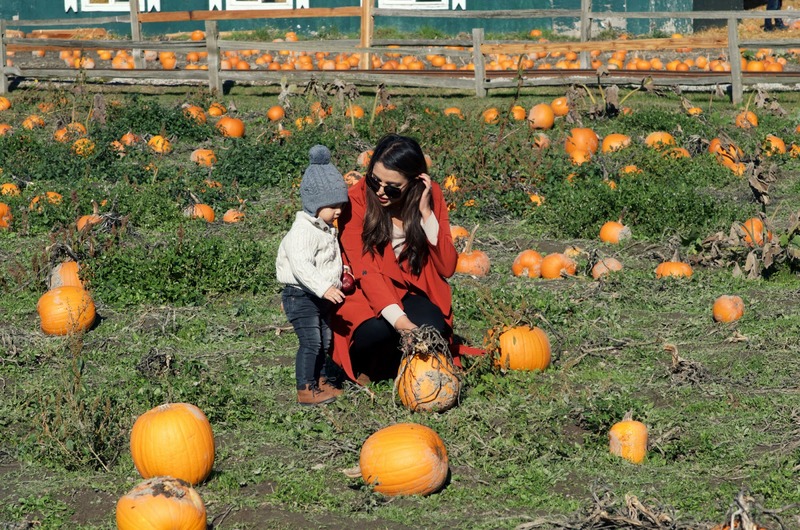 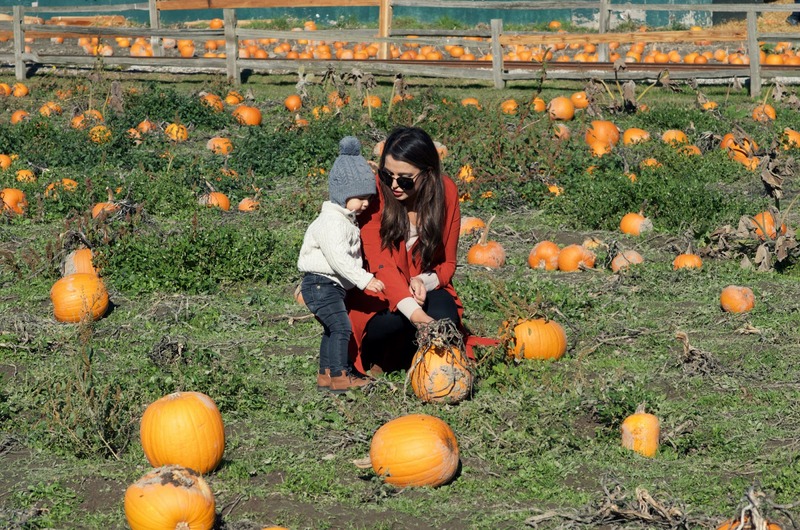 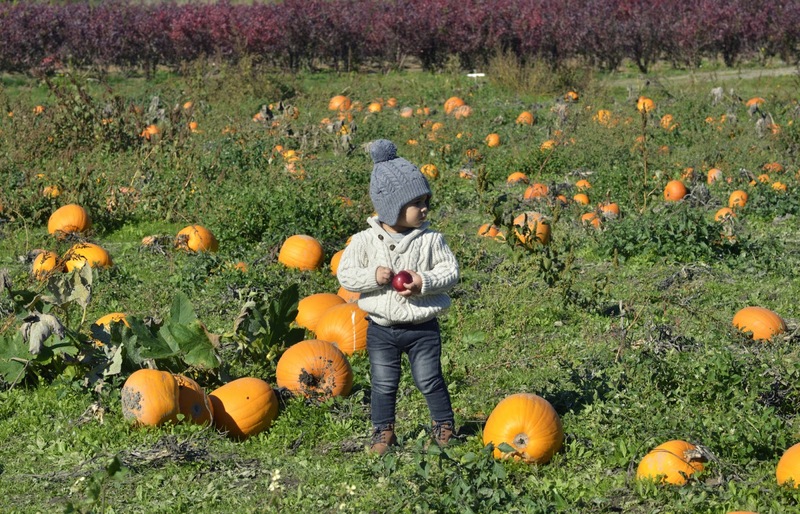 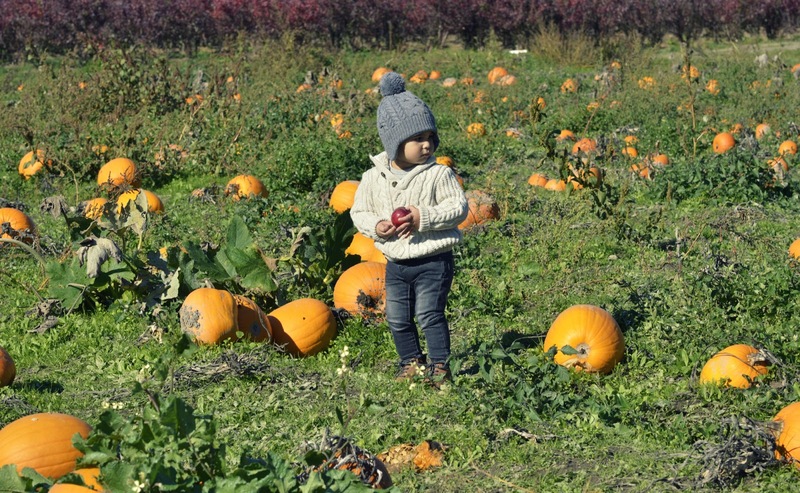 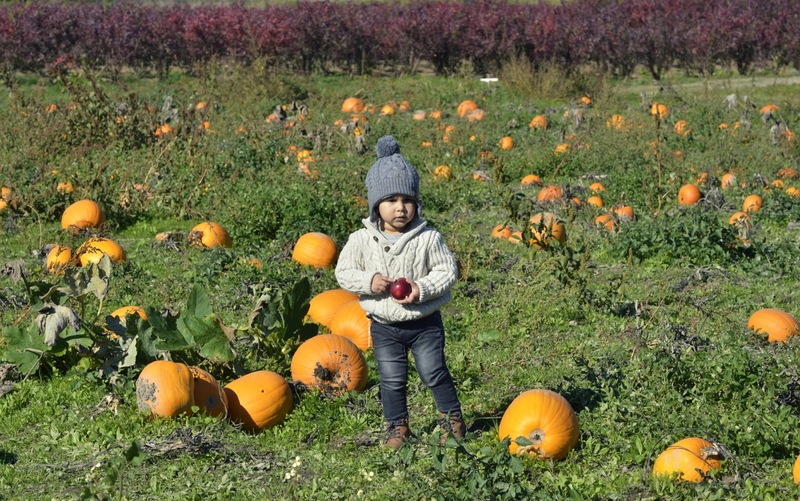 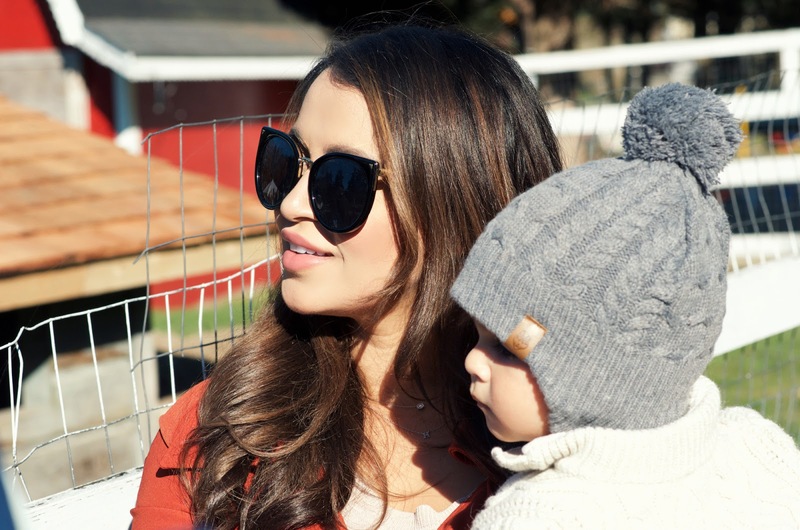 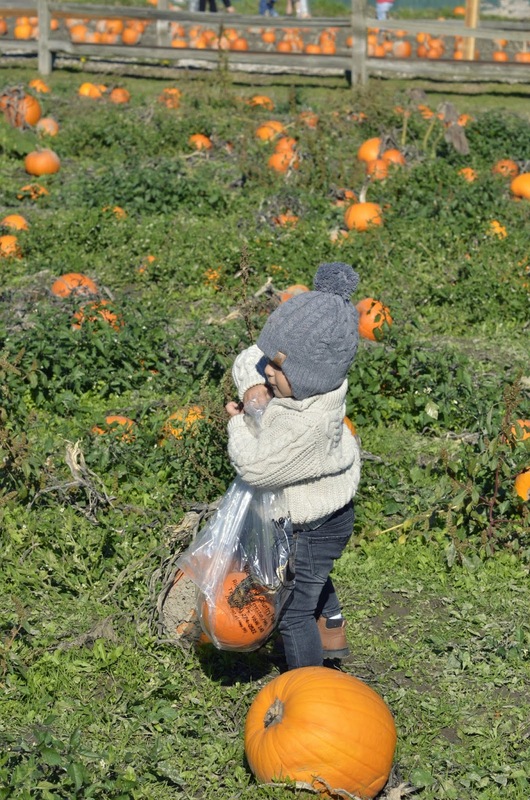 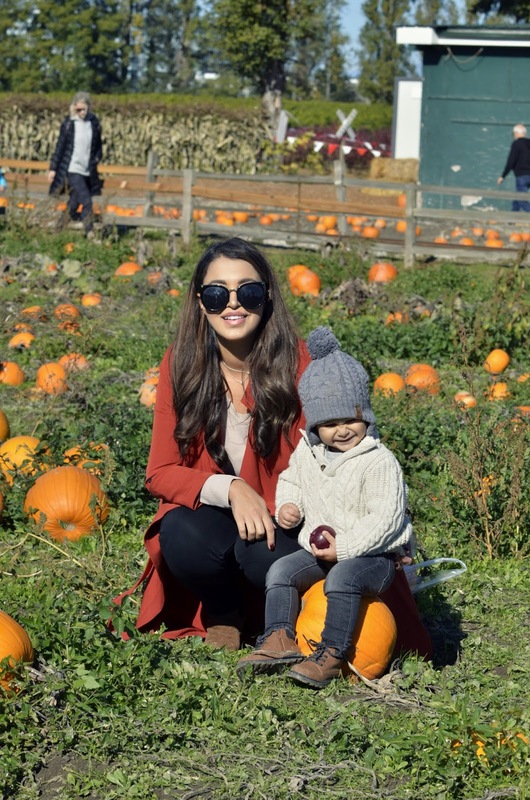 The weather could not have been better for our trip to the pumpkin patch, and here in Vancouver it's not always a guarantee. 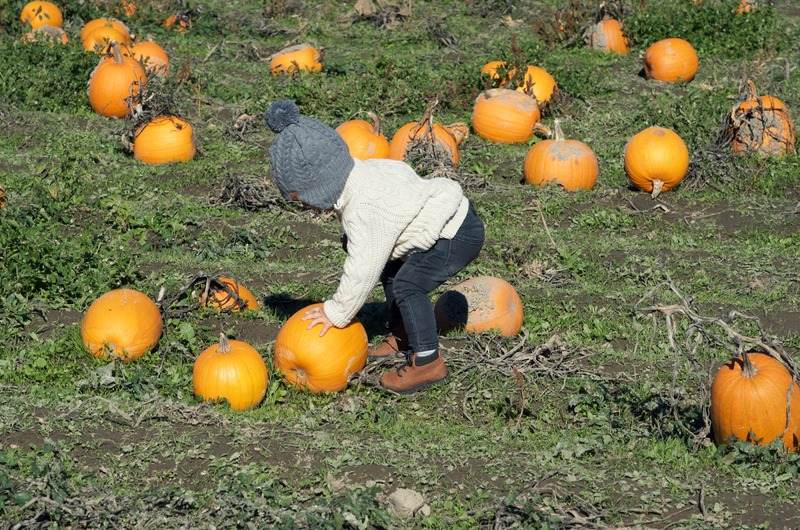 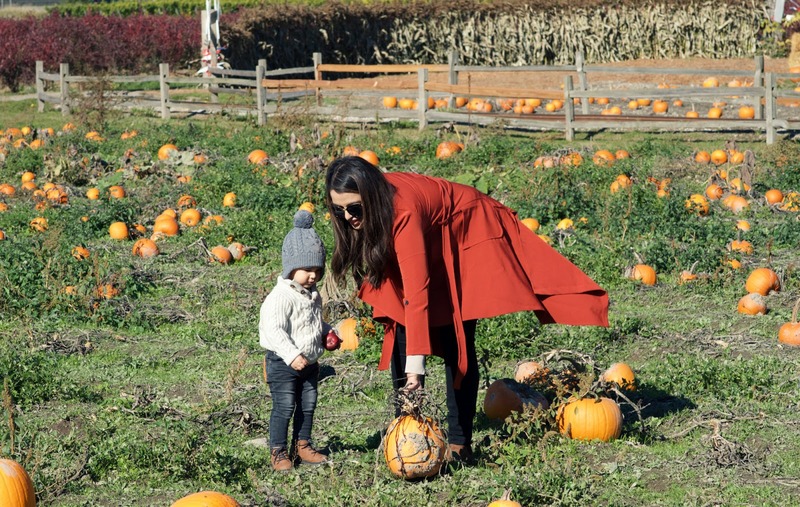 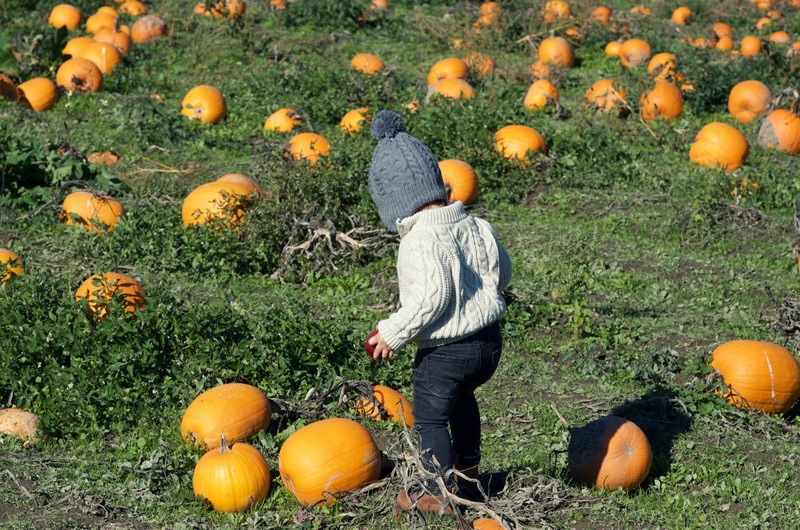 Harrison had the best time and especially loved trying to carry the pumpkins (especially the ones 3 times his size! 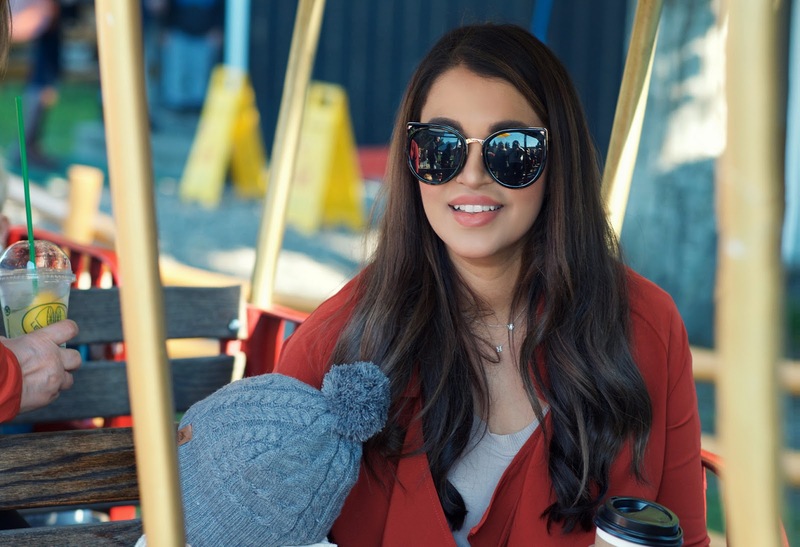 Because the weather was so wonderful and warm I decided to wear a light knit sweater, a pair of jeans and duster coat. 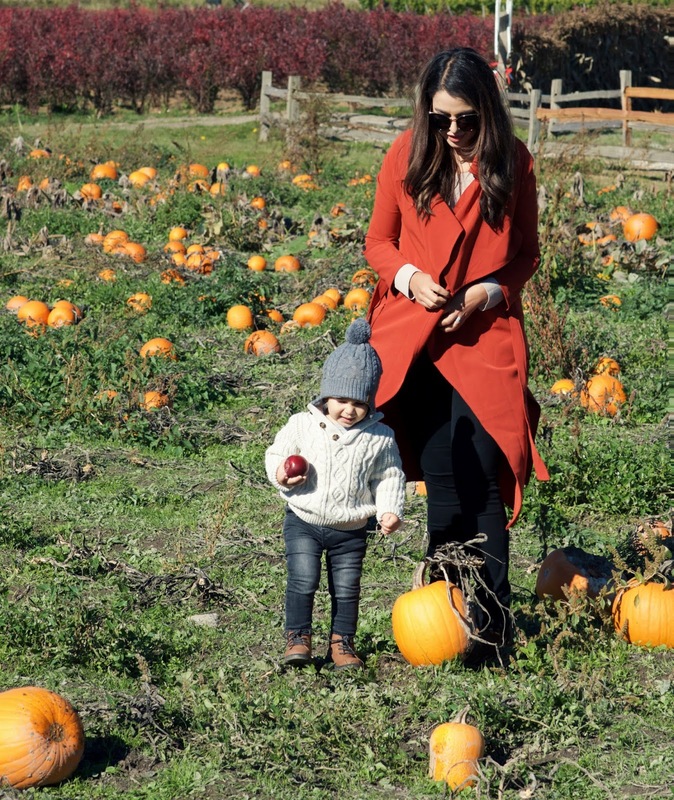 I absolutely love this coat, it's such a pretty color and so perfect for this time of year.